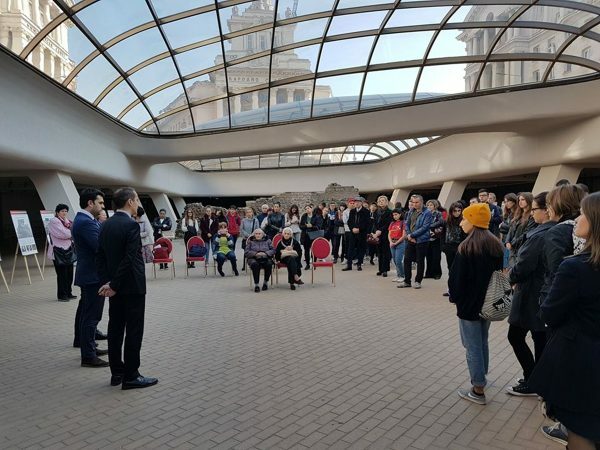 The 80th anniversary of Kristallnacht, the pogrom unleashed on Jews by Nazi Germany ahead of the Holocaust, was commemorated in Bulgaria’s capital Sofia on November 9 with an open lesson on tolerance. At the event, in the Largo venue in the centre of the city, educational posters about the Holocaust, provided by the Yad Vashem World Holocaust Remembrance Centre, were on display. Associate Professor Alexander Oscar, the president of the Organisation of the Jews in Bulgaria “Shalom”, Deputy Foreign Minister Georg Georgiev – the National Co-ordinator for Combating Antisemitism – and Sofia Deputy Mayor Dr Todor Tchobanov addressed the event, underlining not only the lessons of the Kristallnacht and the Holocaust but also the responsibility shared by all to be vigilant against antisemitism and intolerance today. “We thank everyone who chooses daily to fight the language of hatred on the walls of buildings, against discrimination and injustice at school, in the workplace, in the streets. Eighty years later, Kristallnacht is an ugly symbol of a misanthropic ideology whose tools of influence are still being used,” Shalom said in a Facebook post. Uwekind International School teacher Tsvetomira Antonova addressed the gathering, explaining why history and the contemporary situation convinced her it was important for pupils from the school were brought to the event. Also present were young people from the Adracha College, training in leadership for the community. For the pupils at the event, there was a special opportunity, to meet two Bulgarian Holocaust survivors, Professor Hannah Lorer and Sara Luna, to hear directly from them about their experiences during that time, to ask and have their questions answered. The two survivors spoke movingly of their hardships, pain and suffering, and also of those Bulgarians who had assisted them. 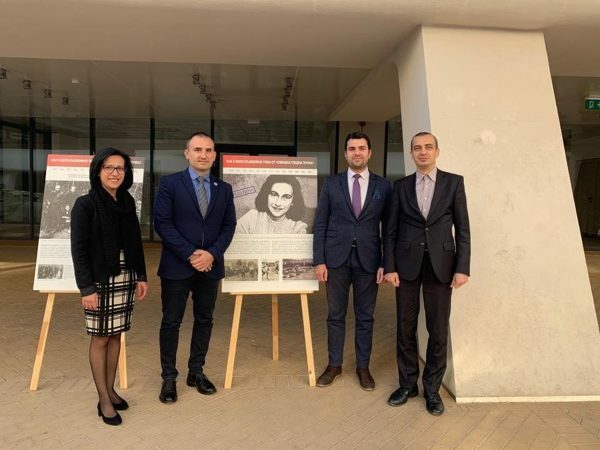 From left: Sofia city councillor Mihaela Ivanova, Shalom President Alexander Oscar, Deputy Foreign Minister Georg Georgiev and Sofia deputy mayor Todor Tchobanov. The event was organised by “Shalom” and hosted by Sofia municipality and the Regional History Museum Sofia, with assistance from the National Co-ordinator for Combating Antisemitism, the Bulgarian Delegation to the International Holocaust Remembrance Alliance, Yad Vashem, and Sofia Philharmonic, which provided musicians who performed at the ceremony.